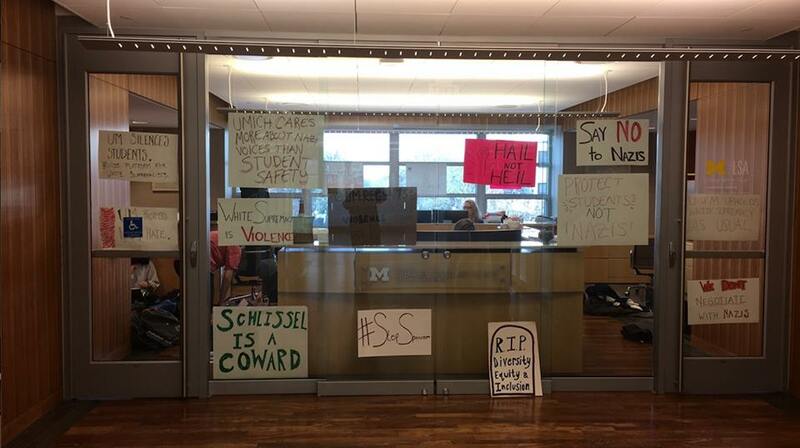 Students and community members in Ann Arbor, Michigan at the University of Michigan took part in a wide variety of actions under the banner, #StopSpencer. Students are hoping to build up popular opposition to Alt-Right leader and white nationalist speaker Richard Spencer, who is looking to speak on campus after his magnificent failure in Gainesville, Florida, where the “Trust Fund Fuhrer” was laughed off stage by hundreds of students as thousands more demonstrated outside. After Spencer’s failed talk alongside neo-Nazi shock jock Mike Peinovich and “Eli Mosley,” the leader of Identity Evropa, members of Patriot Front opened fired on protesters who were sitting at a bus stop. 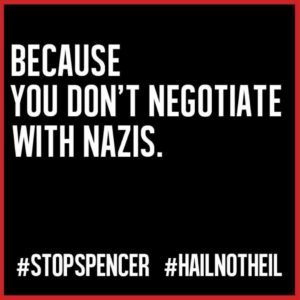 Despite this and the deadly events of the ‘Unite the Right’ demonstration in Charlottesville, it appears that University of Michigan administrators are still going to allow Spencer the ability to speak on campus, however as of this writing, a date is not yet set. Ironically, the same university just disinvited from speaking well known African-American author, Alice Walker, over her remarks about the state of Israel in 2013. In the face of this, a broad coalition of groups this week organized and carried out a series of actions that included a massive walk-out, rallies, protests, marches, a sit in, and large educational events on the threat of the Alt-Right. Wanting to know more, we caught up with someone on the ground at the campus who gave us a rundown of what was happening. They discussed that people, crews, and groups at the university were coming together in a way not seen before, and students were organizing for the expected arrival of Richard Spencer, as it appears unsurprisingly, that the school administration is only too happy to welcome him. 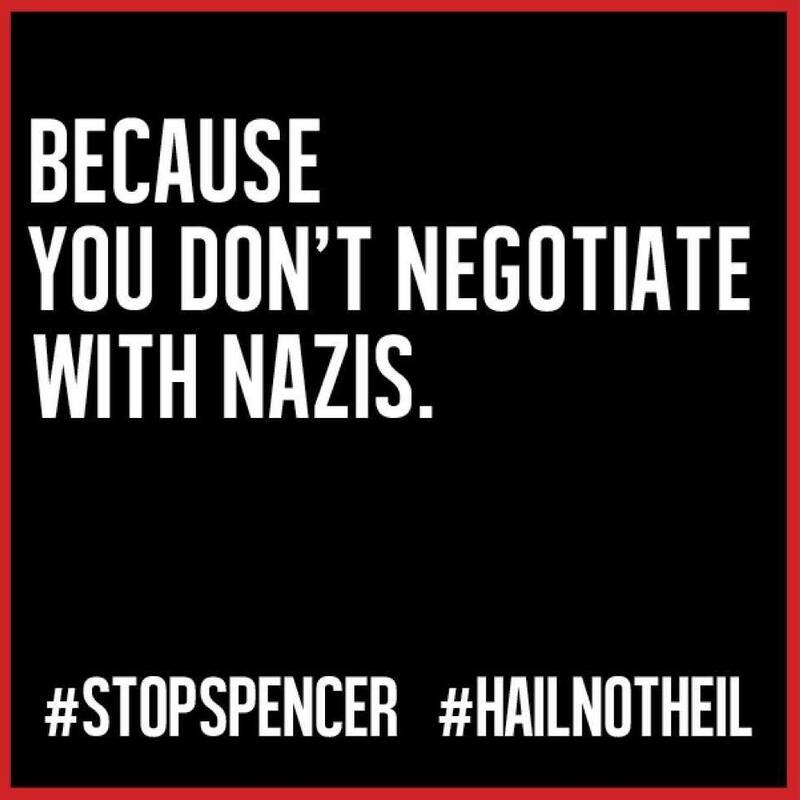 For more information on ongoing #StopSpencer actions, follow the hashtag on social media and check out the Stop Spencer at the University of Michigan page.